Other Products by PhD Nutrition. Search other Protein Powder products. 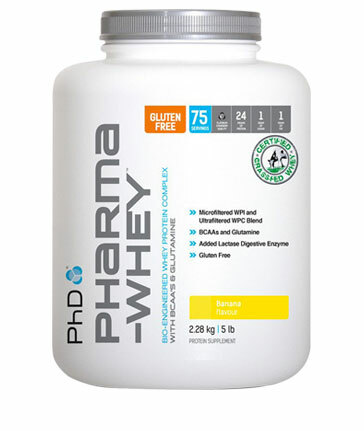 Pharma Whey by PhD Nutrition is one of the highest quality whey protein supplements on the market today, utilising a bioengineered Whey Protein Complex. Pharma Whey combines a premium quality Whey Protein Isolate with Whey Protein Concentrate to rapidly saturate your muscle tissue with muscle-building amino acids to ensure faster recovery from intense workouts. Pharma Whey is further enhanced with BCAA's and L-Glutamine to encourage an anabolic environment for lean mass gains. Along with a Digestive Enzyme Complex and Pro-biotic culture to support gut health, and assist digestion of these muscle-building nutrients, Pharma Whey ensures maximum muscle growth. For optimum results use 2-4 servings of Pharma Whey daily. Ideally, use 1 serving upon waking, 1 serving 60-90 minutes prior to intense exercise, followed by 1-2 servings immediately upon completion of intense exercise. 1 serving = 1 scoop ( approx. 25g) mixed with 200ml water. 1 super serving = 2 scoops (approx. 50g) mixed with 400ml water. 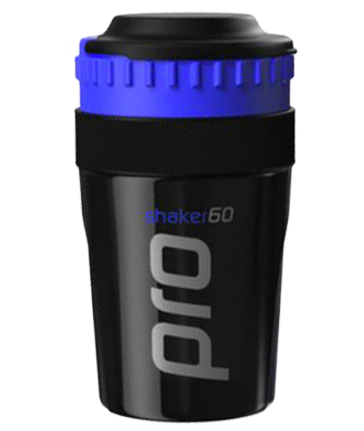 Create an anabolic, muscle-building environment; Increase lean muscle mass; Improve recovery. Bodybuilders; Weight trainers; Team sports competitors (e.g. AFL player, Rugby players); Crossfit; Any athlete or sports person wanting to improve performance, build lean muscle and reduce recovery time. Protein Blend (Whey Protein Isolates, Hydrolysed Whey Isolate, Whey Protein Concentrate, Whey Peptides), Flavours, Acidity Regulators (Citric Acid, Malic Acid), Sweeteners (Acesulfame, Sucralose), Enzyme Complex (Amylase, Protease, Cellulase, Beta-D-Galactosidase, Lipase). Do All Protein Powders Make You Gain Weight?